If you are missing one or more teeth, dental implants are an excellent choice for long-term tooth restoration. When you choose dental implants, you’ll enjoy enhanced well-being and self-confidence from the tooth-replacement option that’s the closest thing to natural teeth. For affordable dental implants in Virginia, call our office today to schedule an appointment. When you lose a tooth completely, both the tooth above the gumline and the root of the tooth are lost. Bridges and dentures can replace the visible part of the teeth, but they don’t address the space left by the missing root. Dental implants are placed in the jawbone in place of natural roots and fuse with the bone, serving as a strong base for replacement teeth. Most dental implant surgery calls for an endosteal implant. This type of implant is composed of three parts, including the dental implant, usually made of titanium, the abutment, and the crown. Subperiosteal implants are an option if your jawbone is shallow. This type of implant uses a frame-like structure instead of a post and sits on the jawbone rather than in it. Your dentist will determine which option is right for you. The cost of dental implants is different for each patient because every patient is unique. To find out how much your customized treatment will cost, schedule an appointment with our office today. Based on a thorough examination and assessment, we will provide you an estimated dental implants cost and treatment plan. While initially dental implants cost more than other tooth replacement options, most people who get them consider the expense to be a worthwhile investment because of the numerous benefits of dental implants. Also, some studies have shown that implants may be more cost effective than bridges over time. Are affordable dental implants in Virginia possible without the help of insurance? It’s possible to have part of your treatment covered by dental implants insurance, depending on the details of your plan and the cause of your tooth loss. However, the majority of insurance plans don’t provide dental implants insurance. Even if your insurance does some offer coverage for them, the cost of implants with insurance to you may still be 90 percent of the total cost. If you don’t have coverage, affordable dental implants are still within your reach with our flexible financing options. The specific dental implants procedure steps will vary based on whether you are getting endosteal or subperiosteal implants and how much preparation your jawbone requires. Every case is different. The dental implants procedure in a typical case starts with preparing the jaw for implants. Depending on the condition of your jaw, bone grafting may be required. After the jawbone heals, the metal posts of the implants are placed into the jawbone. Then several months of healing must take place before the process of dental implants can be continued. When your jaw is ready, your dentist will place abutments on the implants and then attach your new replacement teeth to complete the dental implants procedure. 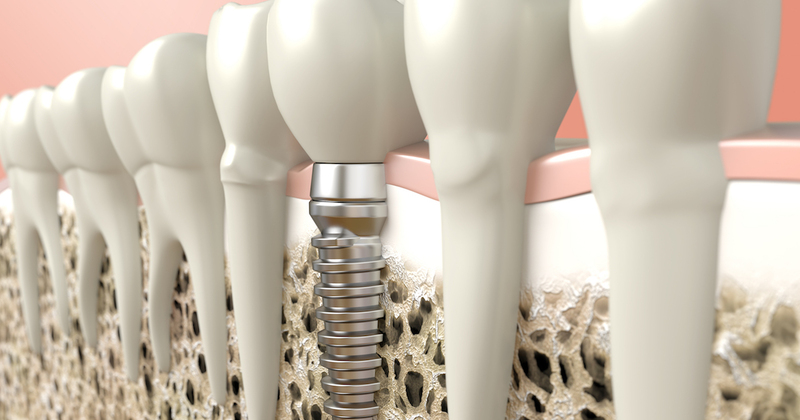 Many patients are concerned about possible dental implants procedure pain. However, dental implant surgery is performed with the assistance of local or general anesthesia, and the majority of patients report that it’s no more uncomfortable than a standard tooth extraction. Eating your favorite foods with confidence. Dental implant care after surgery is aimed at keeping you comfortable during the healing process. Manage any minor swelling or discomfort with over-the-counter or prescription pain medications. Other than that, caring for dental implants is the same as caring for your natural teeth. Keep up with brushing, flossing, and visiting the dentist. Also, just as with natural teeth, avoid chewing on very hard foods or ice to avoid breaking a crown. Are you wondering who needs dental implants? An ideal candidate for dental implants in Virginia has good general health and enough jaw height to support implants. To determine if dental implants are the best choice for you, you’ll need a thorough assessment by our dental implants experts. Call our office today to get started. 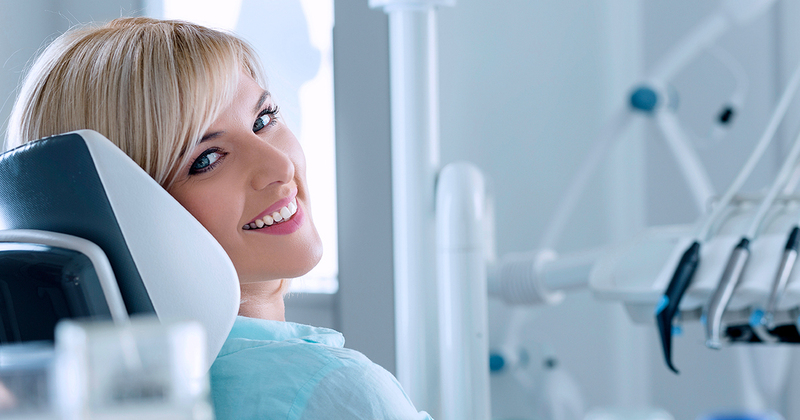 Dental implants provide a beautiful, hassle-free smile, but how long do dental implants last? While they’ve been known to last a lifetime, how long dental implants last in each case can be affected by certain lifestyle factors. For example, heavy smokers may experience bone loss around the dental implants that can lead to implant failure. Pay attention to oral hygiene to keep the gums and bone around your dental implants in top condition. We welcome you to call our office today to learn more about dental implants in Virginia.